Summary: Lina is spending the summer in Tuscany, but she isn’t in the mood for Italy’s famous sunshine and fairy-tale landscape. She’s only there because it was her mother’s dying wish that she get to know her father. But what kind of father isn’t around for sixteen years? All Lina wants to do is get back home. 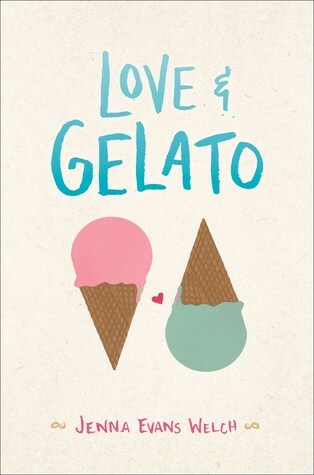 The Good, the Bad, and the Ugly: When Love & Gelato hit the NYT Bestseller List in 2016, I was surprised. The lead-up to its release was quiet, amidst big books like ACOMAF and The Unexpected Everything. It was on my radar, thanks to my book blogger habits, and I got a copy release week, but I expected it to slip by most people's notice. It didn't. It took me several weeks to read it, but when I did, I admit I didn't get why so many people had loved it. So I finally reread my copy, over a year later, wondering if I just hadn't been in the mood for it then. Unfortunately, my opinion holds true. I didn't hate Love & Gelato by any means. It just left a lot to be desired. I thought the premise was good with Lina, her mother, and Howard. However, it never felt quite fully formed. Howard was a great character but there was a tiny something missing from his character or his relationship with Lina that I can't name. The introduction to Ren is a little rough, and his mom and little sister appeared and then didn't really have an on-page presence after that. That whole scene felt unpolished to me. And honestly, Lina and Ren's story would have been 100% better if their other potential love interests weren't involved at all. I think the journal entries could have been written in a more interesting way. They're presented in giant clumps, which wore on me a bit. But Hadley's (Lina's mom) story was a compelling one, and I appreciated that Lina was trying to understand her mom a little better. A little foul language. Some kissing (including a guy forcing himself on Lina). The Verdict: There still managed to be something at the heart of this story that kept me from hating it. I didn't love it, either, though. Will I be adding this book to my library? : I already own a copy.